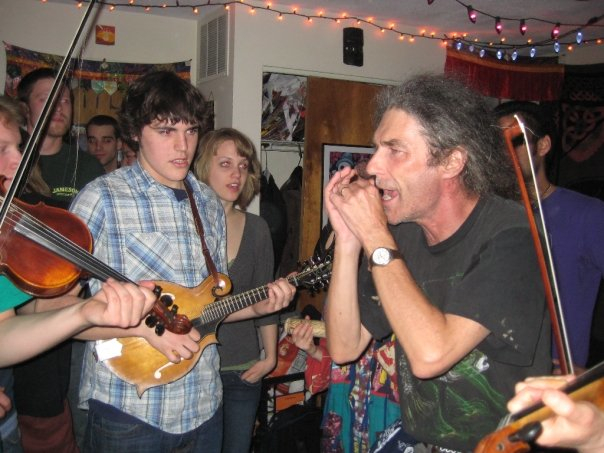 You are about to experience the sounds of an epic 2 day jamming party hosted by Andy Reiner at The Fiddle Barn in Boston, MA in April 2008. These 12 songs and tunes – edited from more than 18 hours of recordings – give a taste of the insane energy constantly erupting through the weekend. These are downloadable mp3s. Download them and share with your friends! Thank you so much for these inspirational tunes. I am so jazzed now to play more and to learn more so I can jam with friends. I feel like I am right there. Your love and expertise comes through these tunes. Thank you again so much for sharing and inspiring.